With 2 million km² of tropics and subtropics, India provides an ideal breeding ground for tropical mosquitoes that bear disease. For that reason, the country has a long history with the mosquito-borne Zika virus, with the earliest recorded case dating back to the 1950s. But in spite of this head start on an infectious disease that now threatens to bloom into a global epidemic, India may be particularly vulnerable to an outbreak. Dr. Pranatharthi Chandrasekar, Chief of the Division of Infectious Disease at Wayne State University’s School of Medicine in Detroit, Michigan, insists India faces big challenges in dealing with a potential Zika outbreak. “Even in the U.S., we have a hard time preparing for any outbreaks,” he says. 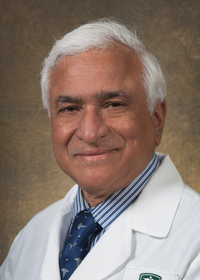 “You can imagine it’s far worse in India.” Chandrasekar, who received his early training in India in the 1960s and 1970s, notes that although infectious disease is the leading cause of death in India, the first post-graduate medical fellowship program in the specialty was created just last year. “There are less than 25 subspecialists trained for the entire population,” he notes. “Private companies have a role in dealing with disease outbreak,” says Pranatharthi H. Chandrasekar, M.D. Chandrasekar adds that extreme wealth inequality exacerbates the healthcare inattention to infectious disease. “Government hospitals that tend to serve the poor have limited resources,” he says, “while private hospitals, which target a wealthier population, do not make this sort of issue a priority.” In addition, about 80 percent of Indians have no health insurance, according to India’s Central Bureau of Health Intelligence, which means they must pay out of pocket even at government hospitals that often provide inadequate care. Fourteen percent of the population has government healthcare insurance, which covers much of the cost of treatment, but only at government hospitals. Only 6% of the population has private health insurance, often employer-provided and relatively comprehensive, providing access to private hospitals without incurring large out-of-pocket costs. This lopsided coverage picture means that many and perhaps most Zika patients in India are likely to either avoid care, or receive inadequate care that is financially devastating. 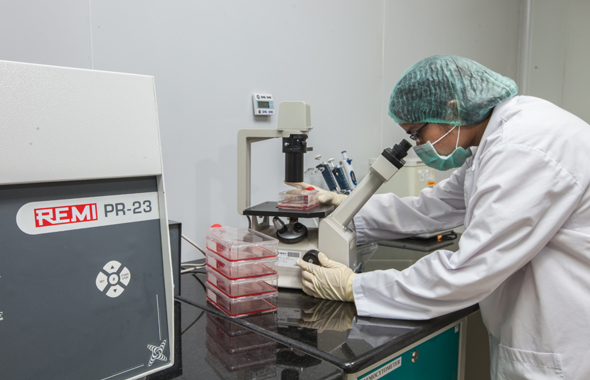 Fortunately, India is also a breeding ground for international business cooperation, which Chandrasekar hails as one of the solutions for a possible Zika outbreak. India is the world’s fastest-growing economy, and as it reworks its structures of governance, regulations are slowly making the marketplace more accessible to foreign companies, especially as it relates to healthcare. Foreign institutions have significant opportunities for moving into the Indian market, where they can not only find markets but address public health needs. The Indian biotech sector is currently valued at US$7 billion in 2015 and is estimated to reach US$11.6 billion in 2017. One Indian biotech company, Bharat Biotech, headquartered in Hyderabad, has already created the first two candidates for possible Zika vaccines. Partnerships would help Indian companies access both knowledge and international funding that would be critical to combatting an outbreak. Also helpful are strategic partnerships between Indian hospitals and academic medical centers in countries with more advanced healthcare systems. Such collaborations can help the country develop a new generation of infectious disease subspecialists and tackle more basic access to care. U.S.’s Johns Hopkins Medicine, for instance, signed a 10-year affiliation with India’s HCL Healthcare in 2014 to “collaborate on outpatient family and specialty care knowledge transfer, training and education projects, and clinical services.” The U.S.’s MD Anderson Cancer Center has an academic partnership with the Tata Memorial Centre, in Mumbai. These AMCs are utilizing their experience running financially sustainable operations which also serve as hubs for training and mission-based work. Alissa Zimmer is a writer and social media consultant for GHCi. Before 2014, the Zika virus was relatively quiet. Although it was found in communities in Africa, South Asia, and Oceania, it garnered almost no media attention in the West. Today, according to the U.S. Centers for Disease Control and Prevention, 57 countries and territories are dealing with active cases of Zika. The World Health Organization (WHO) is predicting that the virus will infect 4 million people by the end of 2016. For perspective, there have been 1.3 million cases of chikungunya, a mosquito-transmitted viral infection, in the Americas since 2013; malaria, a much more widespread mosquito-borne disease, affected 214 million people in 2015. While Zika in adults typically leads to flu-like symptoms and joint pain for up to a week, the real concern comes from the devastating effect the virus can have on newborn children. The WHO says that links have been established between pregnant women who have been infected with Zika and newborn babies suffering from microcephaly. Microcephaly is a condition in which a child is born with an underdeveloped brain. Many children with microcephaly face development issues including learning disabilities, speech issues, and motor functioning issues. They may also struggle with neurological side effects, including seizures. This means that a child with microcephaly may need a lifetime of medical care and speech, physical, and occupational therapy. The availability and costs of this type of care can make treatment completely inaccessible for much of the population in countries facing a Zika outbreak. It is this condition and what it may mean for the life of a country’s children that has so many worried about the spread of Zika. Where is Zika likely to travel to? The Pan American Health Organization released a statement in February 2016 that Zika “will continue to spread and will likely reach all countries and territories of the region where Aedes mosquitoes are found.” The Aedes Aegypti mosquito, the Zika carrier, is already notorious for spreading dengue fever and chikungunya. Health experts say that anywhere these tropical diseases are already found, Zika is likely to follow. A University of Oxford study bolsters this prediction, claiming that the global tropics and subtropics are at high risk for Zika. Is Brazil Mismanaging High-Cost Drugs?